Staying with a local family is both exciting and rewarding. Host families provide the best insight into how an American family leads their life. This interaction with a family helps students communicate better, faster and allows them to pick up words and nuances used in daily situations. There is no typical homestay in Boston. Some homes are single standing homes, apartments or multifamily homes. Students are placed in a single or twin room. Each room is furnished with a bed, desk, closet and waste paper basket. It is important that rooms and living areas are kept neat and tidy. Students also have access to a shared bathroom. Bed linen and towels are provided by the host family. In general, students can use the laundry facilities though number of washes per week remains at the discretion of the family, for example a specific laundry day. Internet access is available and telephone access is restricted to incoming calls only. All families are English speaking and eager to share all of Boston’s cultural and traditional aspects with international visitors. Boston is one of the oldest cities in the US and is also known as ‘America’s Walking City’ with quaint neighbourhoods and most desirable locations. Bostonians come from all over the US and the rest of the world but all of them are American and call Boston home. Our host families reflect this diversity and include single people, couples, parents with children, and single-parent families. A variety of food is provided each one packed with nutritional value. Host families make an effort to adjust the type of food offered to the tastes of the students and take religious beliefs into consideration when preparing meals. Vegetarians or people with food allergies should specify their eating options upon booking so this can be shared with families prior to arrival. Breakfast varies from family to family. It is usually self-service and includes bread, coffee, cereal. Hosts are encouraged to offer students whatever is typical for their home. Students will eat whatever the family eats and help set the table or clear up after dinner. Students are encouraged to participate in family activities or outings. Dinners are usually quite early in the states but families will inform the student of the time when they eat. Not all families will sit down and have dinner together every night. It is important that the student informs the host family beforehand should they be late or not having dinner. Commuter Train pass: price depends on the station’s zone. Check fares and passes or your host family profile for up to date rates. 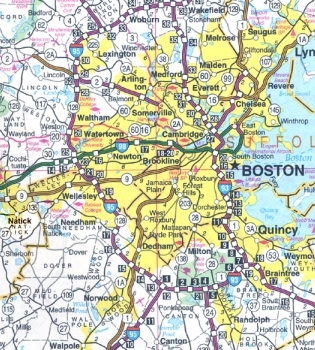 Our host families are located all over the Greater Boston area. Every homestay is visited and approved by an EC Boston staff member. EC Boston strives to place students in the safest and most convenient areas of Boston as possible. To the Northeast, we have families in East Boston, Revere, Winthrop, Swampscott, Malden, Medford, Everett, Saugus, Somerville, Cambridge, and Chelsea. 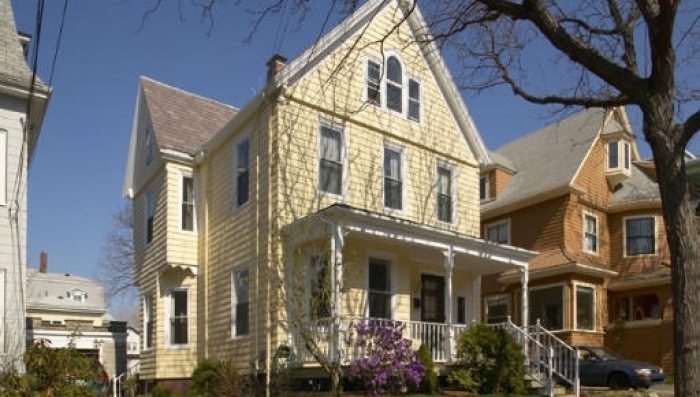 South or West of Boston, we have host families in Brookline, Newton, Quincy, Wellesley, West Roxbury, Jamaica Plain, and the Ashmont neighborhood of Dorchester. Our homestays are typically 45 minutes to 1 hour from the EC Boston Center in Faneuil Hall. Students utilize public transportation- train, subway, and/or bus to get to school. The closest T stations to the school are Park Street, Downtown Crossing, or South Station (Red Line), Haymarket or State (Orange Line), Aquarium, or State (Blue Line), and Haymarket (Green Line).